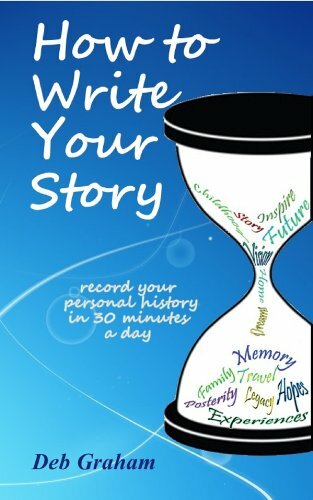 Have you written your personal history? A personal history is one of the most important gifts we can leave our children and grandchildren. 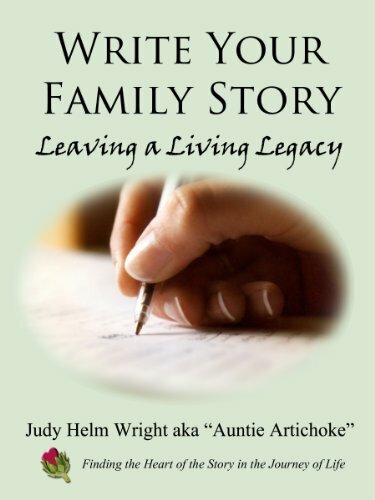 Telling your story allows your grandchildren and even your great-great-great grandchildren a glimpse into your life. Write your history! 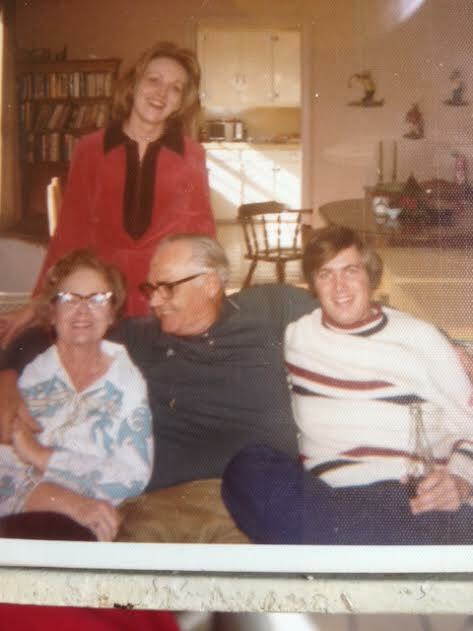 One of the items I treasure most is my mom’s diary — from the year she met my dad. After they met, each page has only one word scrawled across it — Happy. Every page. If you flipped through mom’s diary, you would only see happy, happy, happy, happy, happy! What a treasure! My mom’s diary was written in the 1930’s – 80 years ago. What will your family read about you in 80 years? This page is loaded with helpful tips. Scroll down and scroll some more. What item in your home is unidentified as a family treasure? Make a note about that item today! Leave a record, a story of all these family treasures in your house! 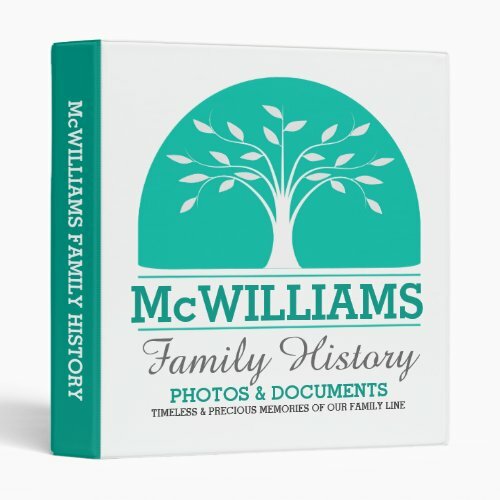 When your children are in their 50′s and 60′s and become grandparents themselves, they will suddenly have a keen interest in all family history items. Don’t leave all those questions unanswered. Keep scrolling down for a list of questions to guide you. Have you noticed that the pictures break up the text? As you write your story, do include photographs to illustrate your story. Your children and grandchildren will love seeing you at age 7, wouldn’t they? 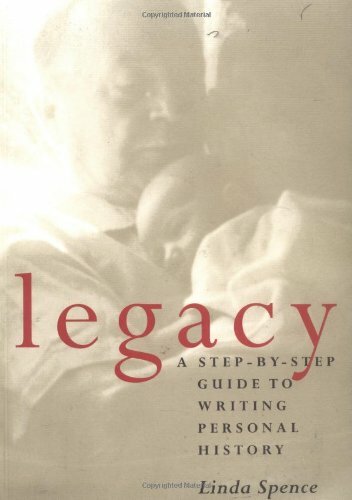 Give your children and grandchildren a beautiful geneology –but please add the personal stories! The stories are the joy of your personal history! Wouldn’t you like to know now how your grandmother felt when she voted for the first time? I had the privilege of speaking with Lee Miller this past week. 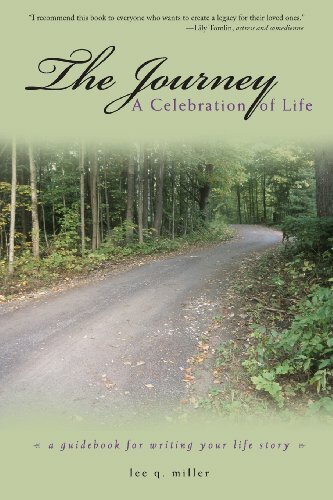 She has created a beautiful book about a local YMCA camp with stories from campers for the past 50 years. What a treasure! 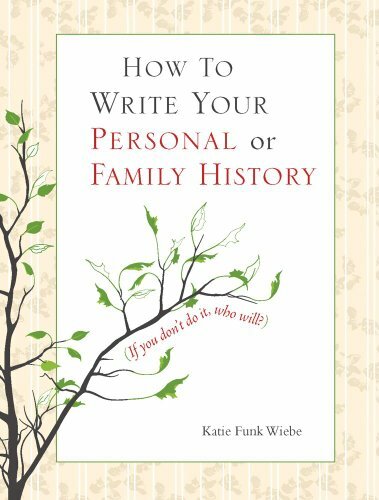 And you can do the same with your history – ask friends to write a fun memory about you to include in your own personal history! 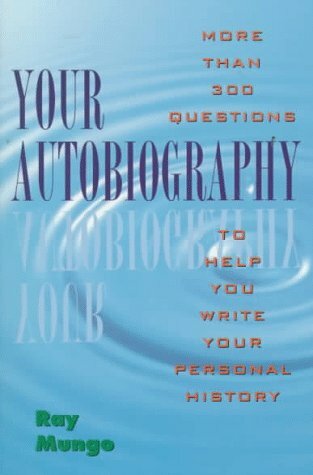 Lee also wrote a wonderful book about writing your personal story. You can purchase it on Amazon. Do You Wish Your Grandmother’s Furniture Could Talk? Do make notes about furniture that is in your home that has been passed from generation to generation. On one particular small table, I purchased a small personalized bronze plaque. Engraved on the plaque is all the important information about the piece. From now on, the history of that little table won’t get lost for sure! It is screwed in to the bottom of that little table! As long as that little table survives, the story will survive with it! 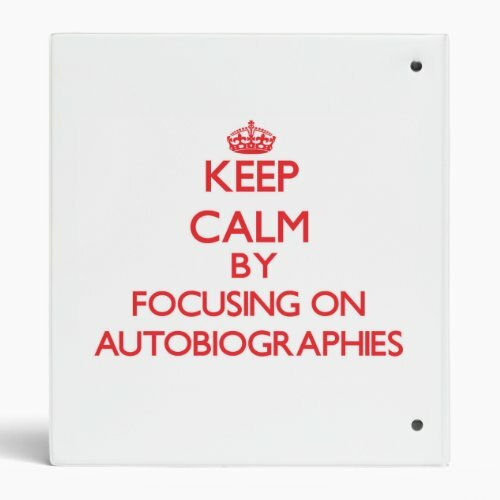 Remember – you can record your life story. Grab a tape recorder and walk through your house and tell about all the hand-me-down furniture. You children will treasure that information. Questions to Get You Started on Your Personal History! What are your favorite books? your favorite quotes? Who was your best friend in grade school? Are you still in contact? Who was your best friend in high school? Are you still in contact? Did you have a bicycle? How old were you when you learned to ride it? You probably think your adult children know all of these things about you. Ask them. I would imagine that they do not, and I think that is going to be a surprise to you. Come back to this site and let me know in the comments section. We all think because our children have lived with us their whole lives, that they know all about us. Let me assure you — they do not. You can also learn how to create life history videos. Or create a spiritual ethical will. Leave something of yourself for your children, grandchildren, neighbors, friends, students. What are your favorite books and television shows? What do you think the world will look like in 2100? Grab a notebook (a spiral bound composition book works well). Set aside one hour to answer the simple questions above. If you do nothing else on your personal story but this, your children will have that little treasure — and that much is better than no notes at all. Once you start remembering, you will find many things to write about. Determine to write something in your book once a week, or once a month. Whatever you decide to do, do something! Your children and grandchildren will be so glad you did! Update – Summer 2009 – My husband and I answered 10 of these questions and I typed them. We presented them to our adult son as a gift. I am sure he filed them somewhere, probably a bit puzzled about why we did that. But 30 years from now, those silly little notes will bring him great pleasure — and we know that! Update – September 2014 – I am working with Lee Miller to teach a class at our local Shepherd’s Center. We are working with senior citizens who want to develop their creative writing skills to produce their personal histories. We are having fun – and it’s great to hear everyone share their memories and see their creations. Check with your local volunteer organizations to see if a course is available in your area. If you are artistic, you can use pictures to tell your story. This Artist’s Journal Workshop has techniques, exercises and tips to help you. Creat a picture of your holidays and birthdays and other special occasions. What a treasure this will be for future generations. Thought to Ponder – If you love music and you are able to make cd’s on your computer, you might want to collect the favorite hymns or songs of each member of the family and make a cd. Do you remember your Dad’s favorite hymn? Can your children name your 5 top personal favorite songs? Did you decide to do your book in a binder? 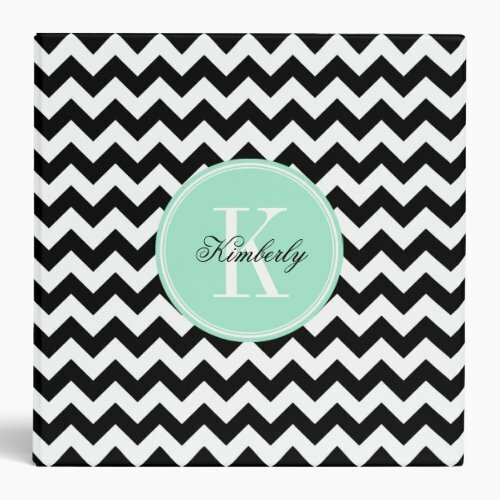 These Zazzle binders are made for your personal history and some of these can be personalized – a great idea if you are making a copy for each member of the family. PS Introduction photo from my personal collection. Do not copy. PPS Affiliate Disclosure – This site is a participant in the Zazzle Affiliate program and or the Amazon Services LLC Associates Program, an affiliate advertising program designed to provide a means for sites to earn advertising fees by advertising and linking to amazon.com or Zazzle.com. This entry was posted in Senior Citizen Living and tagged autobiography, family history, memoirs, personal history, personal story. Bookmark the permalink. Is that the maple table that we played monopoly on and worked puzzles and melted the candles on the coke bottle? I loved reading this and am going to really try to do better about recording my memories. Thanks for the inspiration. I’m known for not liking to share personal things but you make me see things differently through this article. After all, sharing my favorite teacher doesn’t unveil anything about my private life. It’s definitely an article worth reading and not just for those 3 x 20 😉 Thank you for sharing these tips M’am.